I happened to watch a video clip of Oprah at Duke University’s graduation where she received an honorary doctorate (Congrats Oprah!). In her speech, she talked about several things, but the one thing that stood out for me like a red blinking light was this phrase “You are responsible for the energy you bring”. I clicked in my brain like when the slot machine makes a hit. In my own life, I’ve been called oversensitive, and will tear up for happy and sad events. First time ever I remember feeling like a dufus was when I was 7 and cried at the movie Benji when the bad guy kicked him across the room. I knew I’d be in trouble when I got older, but I also remember being really embarrassed. I didn’t like feeling vunlerable and was pissed off and sulked the whole way home. Of course, this affected others at home. As I got older, I saw how people would respond to my moods, and discovered that I would also be affected by the moods of people around me. Happiness is contagious, as is sadness and depression. I never knew how to process it all though, it would be somewhat of a muddled experience when I would find myself sad for no reason. I’ve come to realize how emotionally transparent we really are. We ARE responsible for the energy we bring…to whatever we do in life. We are responsible. I know that sometimes blaming is easier, but do you ever reflect on why things happen the way they do? Have you ever noticed when you are in a store cashing out with someone who is ready to leave their shift? It’s like their mind is elsewhere. You can tell they are not with you, they are already leaving the building. Energy is palpable, whether we like it or not. When we enter a room we bring with us, like Charlie Brown’s friend PigPen, a dust cloud of energy that says alot about us and our intentions of that moment. Some folks are more tuned into it than others, and it may not always be obvious. But it’s there whether we want to acknowledge it or not. When was the last time something didn’t work out the way you wanted? Did you consider your role in the outcome? Were you stuffing some fear around the event? Or perhaps not listening to your gut tell you that you are not making the wisest choice? Or maybe feel a little inertia in the feet, like you are glued and can’t move? It’s with these small understandings that our biggest lessons are earned. For example, I’ve noticed my shyness will often polarize people away from talking to me, having the exact opposite effect I desire. It’s because I’m carrying around the energy of worry and fear of lack of approval (what if I say something stupid? what if I have nothing to say?) that comes into the room with me, and hangs around me like a necklace. Just today I heard my Mom coming over to see me, and as soon as she hit my office doorway, I could tell she was miffed about something, I didn’t have to even listen to the words. And then she didn’t like my response because I felt like I was being judged and gave her a snappy retort. Fortunately, I recognized the insanity and diffused the situation, but not until after I snapped back. 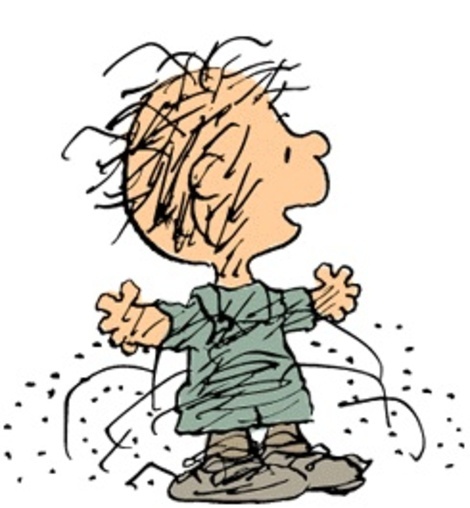 So keep that image of Pigpen in mind next time you are doing anything that involves or affects others. You are responsible for the energy you bring. And the outcome that goes along with it. VP of Marketing at Razorleaf Corp and Adaptive Corp. Student of life and the Bible, spiritual seeker to better understand myself and others. I love helping others in general and welcome deep conversation. Email me at jgrant@sentrepity.com. 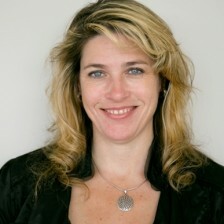 Hi, Would love to tweet and share this article! I don’t see twitter and facebook links on your site. Thanks Dana! It’s true, kids can be their own vortex of FUN if you know what I mean… I find teenagers are extra negative – they much prefer to focus on what they hate vs. what they like… It’s always about who they don’t like or culling out the differences in situations/others that bring dislike. I try to refocus my son but he just blows me off with a “Come on Mahhhm, not this again”! Thanks for the comment Dana. Have a great day. Very well said! If only more people would take responsibility for themselves, their thoughts, their actions, and their words. Thanks Tess for the comment (and for the Twitter follow 🙂 ). It’s true, if we could only take responsibility…I find that I do good with it for a week or so at a time, then find myself back to old habits and thoughts that don’t serve me… Makes me crazy!